Riding your bike over sand, snow, or other unstable ground is an exercise in futility that will soon leave you bogged down and stuck. 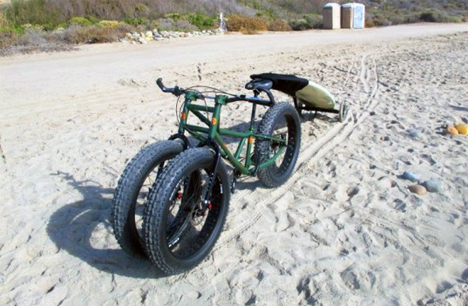 Fatbikes are a smooth alternative, using big, soft tires – kind of like those on dune buggies – to get the bikes across the slippery terrain. Rungu makes a three-wheeled wonder called Juggernaut that makes short work of the slippery, sliding, uneven ground. 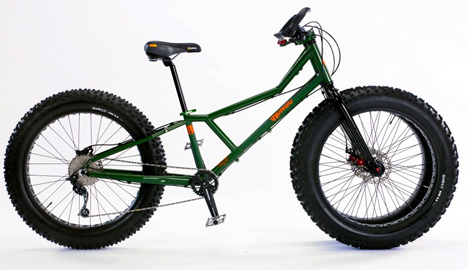 Two fat 26″ tires on the front give the bike stability and another fat tire in the back gives the bike unparalleled traction and control. 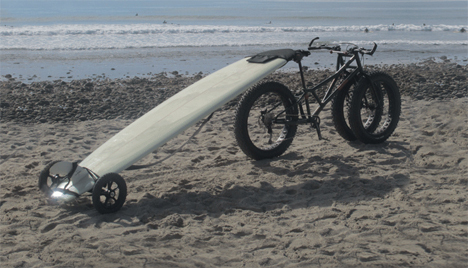 Rungu’s bikes were developed specifically to haul surfboards across sandy beaches. They have low gearing to make them unstoppable on difficult terrain. 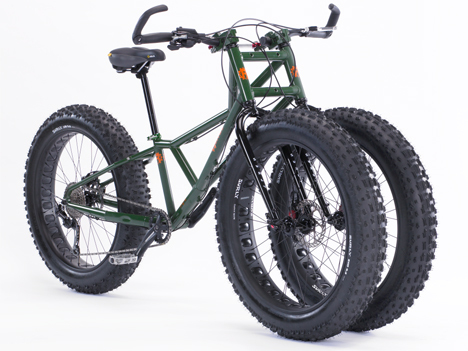 At a slow speed, the Juggernaut can crawl over obstacles up to 6″ high, and stairs are no match for its fat tires. While the Juggernaut has standard brakes for both of the front tires, the rear tire boasts a hydraulic brake. All told, the bike has up to twice the stopping power of a regular bike. You’ll have to be a pretty dedicated rider to bring the Juggernaut home, though – it’ll run you a cool $2500 for the standard setup. See more in Bikes & Cycles or under Transportation. March, 2014.